Start with the granola. In a large bowl, mix together the oats, brown sugar, honey, coconut oil, water and cocoa powder. Once mixed, spoon it out onto a large metal baking tray and place it in the oven for 20 minutes. Check on the granola after the 10th and 15th minute to make sure it’s not burning at the edges. 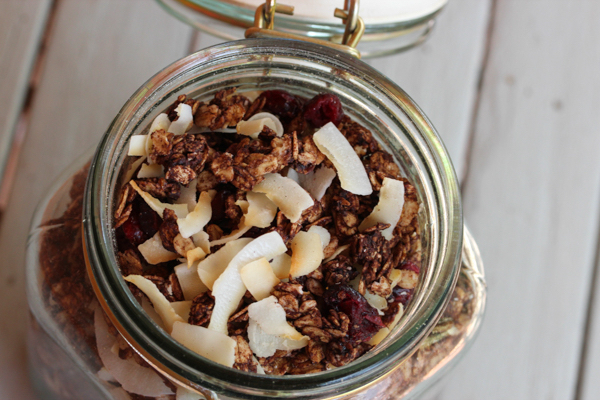 If the edges of the granola are looking a lot darker, give the granola a mix. Tablespoons in this recipe are equal to 3 tsp for Australians.